A Child’s Place at the Ranches, L.L.C. A Child’s Place at the Ranches, L.L.C. understands that your privacy is important to you and that you care about how your information is used and shared online. We respect and value the privacy of everyone who visits Our Site and will only collect and use information in ways that are useful to you and in a manner consistent with your rights and Our obligations under the law. “We/Us/Our” means A Child’s Place at the Ranches, L.L.C., a limited liability company registered in Gilbert, Arizona, whose registered address is 3460 East Clark Ct., Gilbert, AZ 85297. 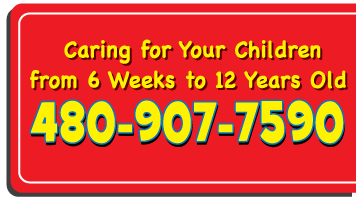 Our Site, http://www.achildsplaceattheranches.com/, is owned and operated by A Child’s Place at the Ranches, L.L.C. a limited liability company registered in Gilbert, Arizona whose registered address is 3460 East Clark Ct., Gilbert, AZ 85297. Our data protection officer is Jenny Satcher, who can be contacted at hello@910west.com. All personal data is stored securely in accordance with the EU General Data Protection Regulation (Regulation (EU) 2016/679) (GDPR). For more details on security, see section 6, below. Supplying you with email newsletters and alerts of any events (you may unsubscribe or opt-out at any time by clicking on the unsubscribe link in the footer of all emails sent via MailChimp). With your permission and/or where permitted by law, We may also use your data for marketing purposes, which may include contacting you by email AND/OR telephone with information, news and offers on Our products. We will not, however, send you any unsolicited marketing or spam and will take all reasonable steps to ensure that We fully protect your rights and comply with Our obligations under the GDPR and the Privacy and Electronic Communications (EC Directive) Regulations 2003, as amended in 2004, 2011 and 2015. Data security is of great importance to Us, and to protect your data, We have put in place suitable physical, electronic and managerial procedures to safeguard and secure data collected through Our Site. We may compile statistics about the use of Our Site, including data on traffic, usage patterns, user numbers, sales and other information. All such data will be anonymized and will not include any personally identifying information. We may from time to time share such data with third parties such as prospective investors, affiliates, partners and advertisers. Data will only be shared and used within the bounds of the law. In certain circumstances, We may be legally required to share certain data held by Us, which may include your personal information; for example, where We are involved in legal proceedings, where We are complying with the requirements of legislation, a court order, or a governmental authority. We do not require any further consent from you in order to share your data in such circumstances and will comply as required with any legally binding request that is made of Us. You may also wish to sign up to one or more of the preference services operating in the USA: The Telephone Preference Service (“the TPS”), the Corporate Telephone Preference Service (“the CTPS”), and the Mailing Preference Service (“the MPS”). These may help to prevent your receiving unsolicited marketing. Please note, however, that these services will not prevent you from receiving marketing communications that you have consented to receiving. You have the legal right to ask for a copy of any of your personal data held by Us (where such data is held). Please contact Us for more details at office@achildsplaceattheranches.com, or using the contact details below in section 14.